After much deliberation I was finally able to get my Grove I2C motor driver and its example code working. I had originally had problems compiling a set of example code that I found online but now I have fixed the code. Also I have made a drawing showing how to connect the Grove I2C Motor Driver to an Arduino Uno. It seems that very few people have made tutorials on this controller other than the wiki page which has just a lot of technical information which is great but for people who don't want all that extra information I have made this short tutorial. I kept it short sweet and to the point so hopefully if you are trying to use one of these controllers you will be able to use the information on this page. The example code bellow should simply make the motor spin and then reverse directions repeatedly. byte val = 0; // I put this here to replace the "Wire.write(0);"
I have been studying the code for the Grove I2C because we are building a robot in school and i understand it all except for the fre_pre void, could somebody explain it to me! 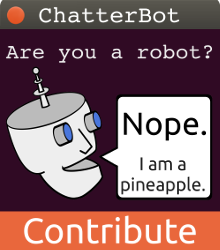 Hi, It has been a while since I have looked at this code. 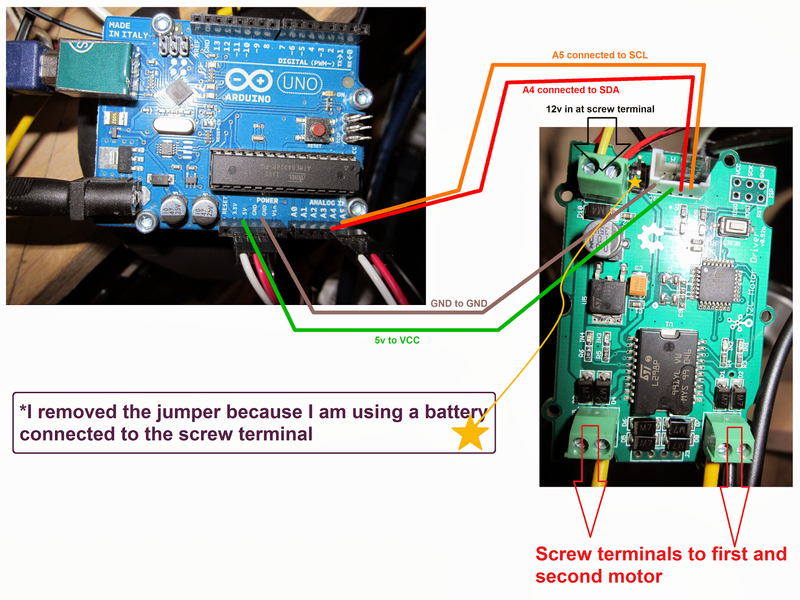 My goal was to get the motor driver to work with the example code that I found online because Arduino had made a change to their syntax since the program was written. I haven't had a chance to go any further with the code since then. Luckily I know some people who are very good with Arduino and I will confer with them about it and then get back to you. Sorry I'm unable to provide you with an answer right away but I at least wanted to let you know that your comment was not being ignored. I will reply back as soon as I can. "void fre_pre(unsigned char pres)" seems to be initializing a variable called 'pres'. However, the 'fre_pre' part may specifically serve the purpose of declaring a calibration method for this particular function. I will let you know if I find out anything more in the next few days. I hope this is more help to you.